Tulane has been trending up since coach Willie Fritz arrived on campus prior to the 2016 season. After winning four games in ’16, the Green Wave improved to 5-7 the following year and jumped to 7-6 last fall. Tulane’s winning mark in 2018 was just the program’s second since the 2003 season. Additionally, the Green Wave claimed a share of the American Athletic Conference West Division title with a 5-3 mark in league play. 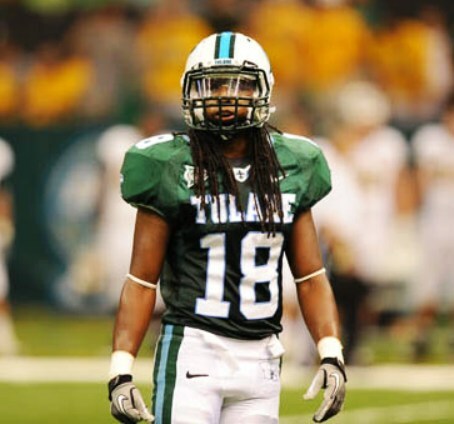 With Memphis replacing dynamic running back Darrell Henderson, and Houston looking to reload under new coach Dana Holgorsen, Tulane should be in the mix to win the division title in 2019. Quarterback Justin McMillan is back after assuming the starting job during the season and throwing for 1,304 yards and 10 touchdowns and accounting for 238 yards and five scores on the ground. He should be more comfortable in his second year under center, especially with the arrival of new play-caller Will Hall. The Green Wave also return 1,000-yard rusher Darius Bradwell, Corey Dauphine (785 yards) and Stephon Huderson (281) in the backfield. Hall’s top priority in spring ball will be plugging a couple of holes on the offensive line, along with replacing receiver Terren Encalade (44 catches for 727 yards). Tulane’s defense ranked near the top of the AAC by holding teams to 27.5 points a game in 2018, but coordinator Jack Curtis has a few key cogs to replace, including linebacker Zachery Harris, cornerback Donnie Lewis, and safety Roderic Teamer. However, the cupboard isn’t bare. Edge rusher Patrick Johnson returns after collecting 16 tackles for a loss in 2018, and fellow defenders Lawrence Graham and Cameron Sample are back after combining for 8.5 sacks. The Green Wave have a challenging non-conference slate with FIU visiting New Orleans and road trips to Auburn and Army. Additionally, Fritz’s team hits the road for games at Memphis, Navy, Temple, and SMU. However, both Houston and SMU come to Yulman Stadium in 2019. All Tulane has to do to continue to be "on the rise" in '19 is to finish 7-5 regular season. Of course that would be just a small jump, but a jump none the less. '97 is 22 years ago, but was the last time Tulane made any substantial jump from a losing year to a winning one. But a jump just one more win than 7 might be considered substantial for the Wave. Last season was a tottering first few steps. May we steady our gait and break into a trot soon. 7-5 or 8-4 would be considered an improvement considering the presumed tougher schedule. I’m ok with stringing a couple 7 win seasons together before getting to the 9/10 win mark. This. Heck, consecutive bowl games would be more sustained success than we've had in far too long. Not sure I agree with these statements in their entirety. Obviously, I would be ecstatic with back-to-back-to-back bowl seasons, however we do it. But considering that, in 2018, we really gave away two games and should have been 9-4, I have the expectation that we should win games we SHOULD win and improve based on winning all of the games we could in a given season. I don't even count the 2018 UAB game as a "should have won" because we were flat and never had the lead. Just WFU and SMU because we had those games in our grasp and snatched defeat from the jaws of victory. We win SMU and we are in the conference championship game. THAT'S my expectation from here on out. Eliminate those little mistakes and we would have played for it in 2018. In short, we should aim higher than just a bowl game. I'm sure Fritz feels the same way. Eliminate those little mistakes and we would have played for it in 2018. In short, we should aim higher than just a bowl game. I'm sure Fritz feels the same way. Eliminate the mistakes and eliminate the "coming out flat" and we would have been 9-3 with our only losses being @Ohio State, @Cincinnati, and @Houston. I'm not postulating on the final record because we'd have played in the CCG and the bowl game would have been completely different (we'd have finished anywhere from 9-5 to 11-3). There were mistakes we needed to clean up which might have turned around some of those other close losses you mention, but a lot of those could also be attributed to Doug Ruse and possibly Jonathan Banks. Both are gone. I'm tempering expectations by reminding myself of how many times things looked great and then went all Tulaney in the past... but next year *could* go very, very well. The floor expectation this year should be bowling. We pulled it off last year and return enough that even if the schedule turns out to be tougher we can reach six wins. The number of bowls makes this goal even more manageable. The actual expectation in year four of a coach should be pushing for a conference title berth. Given last year we were essentially one game away (SMU) from pulling that off, I'd say that's more than reasonable this year. Our overall record could be a number of things, from 7-5 to 11-1, but the focus should be on conference hardware this year. outside of UCF, there is no team in our conference we cannot beat.. and who knows, maybe we can put together that "Memphis type" of game where everything went right when we play them this season. Without McKenzie Milton (I doubt he plays again based on the severity of the knee injury), they are not as scary as they normally would be. Twenty years ago back to back to back Bowls would have been impressive. Now almost 80 teams make a Bowl. It's going to be year 4 . We have to be playing to win the West. This is not some overwhelming schedule by any stretch of the imagination. The only meaningful Bowl game a team from our conference can go to is the NY6 one afforded to the top G5 team. There is just not a meaningful Bowl in our conference affiliation other than that. A seven or even 8 win season against our schedule will not help attendance, recruiting or media coverage. It's ok to expect more. We now have one bowl win in a row. The goal is to take over the Nation's longest bowl-win streak.